I don’t get it. There are no Nazi’s on the cover. Ah this probably isn’t that bad. Maybe I just need more coffee again. I really don’t know if I could sit on a train with this book cover. Has that horse got a fake leg? And is that supposed to be a wood effect on the title bit? I’ve been staring at it but I just can’t work it out. Can I enter a plea of ‘borders on fantasy covers were all the rage back then’ in mitigation? I’ve now had two covers which I briefed on books that I published paraded for ridicule on this site. You need to be careful, editors’ egos will feed on ANYTHING . . .
Golly, that man looks cross! All those men look very cross indeed! Even the horses look cross! I wonder what’s got them all so narkled? Poor Simon! Don’t worry, just tell everyone you were young and needed the cash. Adam: I think he’s about to hack down that border. It’s been sitting in the middle of that field tripping over horses and really getting on his nerves for ages now and enough is enough. Gah, Sorry Simon. It’s not like we’re looking for your books…. or are we…..
Something to put on your CV eh! Its really not that bad, its the kind book i might have picked up 10 years ago. 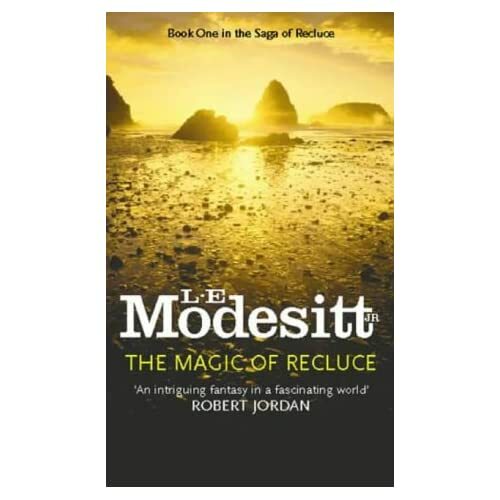 But now its exactly the cover i’d think, “do i really want to been seen reading this?”, fantasy books are always fun to read, no matter what age you are… but there comes a point that an adult weilding a epic fantasy book cover just looks… odd. It is pretty interesting how quickly the UK has started to go for the more modest covers while the US is still pumping out the sweet awesomeness that feeds this site. Nearly all our UK covers on the site are a bit older. Bless you all for the tone of faint politeness that has entered the conversation. May I vote for the return of outright outrage though? It’s much more fun. @CSA You don’t seriously think if I’d had a quote to paste on it that I wouldn’t’ve? 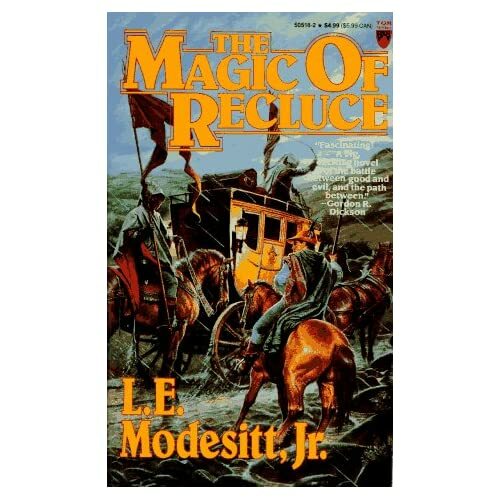 It wouldnt take much to get it modernised, i mean remove the border, resize the authors name/font, lose the horses, and the guys and the purple backdrop and youve got a pretty nifty cover. I particularly like the sticker in the top left. 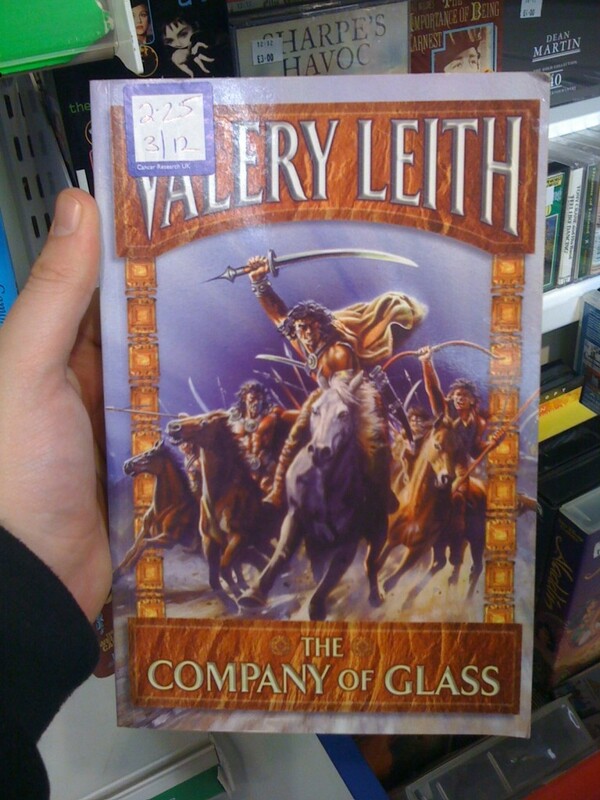 but in all seriousness though, i did have to look at it twice to realise the book wasn’t called Valery Leith, isnt it unusual to have the authors name so far above and alot larger than the book title? I’ve just noticed that one of the guys on the horses is riding with a bow in one hand and some kind of stick/spear(?) in the other which is some pretty impressive horse riding skills. Even more impressive if he can shoot the bow at the same time. I think this cover would be ok if you lost the border and only had the one angry horseman on it. Its the group that makes it a bit much. As another of Simon’s authors (cf. Prof Roberts and Sir James of Barclay) I feel moved to point out that he has briefed and okayed a great many excellent covers, and the ratio of winners to duffers must stand at several hundred to one. And frankly — fantasy readers. Most of them don’t seem to care what sort of rubbish appears on the front of (and often, indeed, inside) the books they buy, so why should anyone else? Bring on the angry horsemen! Hmmm, sounds like you have something to hide James. Almost like you don’t want Simon to point out something, possibly, a bad cover for one of your books! Mu hahaha! I agree James, but at the same time you can still laugh the the covers for been cheesey! although i DO own the original UK version, if i was buying it now i’d get the slightly less offensive new UK version. I have nothing in my closet that I’m ashamed of. No, wait, that didn’t come out right. Ah bugger! Not that kind of “come out”. Or that kind of bugger. I’ll just shut up now. This one belongs to me and is pretty cheesy, actually (not to mention completely unrepresentative of the content): http://www.bibliotecasalaborsa.it/imgeventi/la-guerra-degli-alati.jpg. But Simon definitely had nothing to do with it. Yeah … AND THERE ISN’T A SINGLE ALBINO WARRIOR IN THE BOOK! At least, not in the English version. Who knows what the Italian translator might have put in. I was in Italy that week, I got a little drunk, I was walking past the Italian publisher’s offices, I went in, they were having a briefing meeting . . .
Maybe instead of hiring a translator they put it through one of those online translators. They always get everything right…. Why does the song “Warriors Of Ghengis Khan” by Bad News play in my mind when I see this cover…? Hmmn. Not quite what I’d have expected, judging from their website.